The first thoughts of a Swedish colony in the New World started with King Gustav II Adolf. The King had contracted with the founder of the Dutch West Indies Company, Willem Usselinx, in December of 1624 to form a trading company. By 1626 the Söderländska Company (or Swedish South Company) was formed. But the plan stalled when King Gustav died in the Thirty Year War. The idea of a Swedish colony reemerged in 1635. The Swedish Chancellor, Axel Oxenstierna, became aware of substantial lands south of New Netherlands that were sparsely colonized. This sounded ideal for Sweden. The Swedish South Company was reformed into the New Sweden Company with a goal of establishing a joint Swedish-Dutch colony. In addition to six Dutch investors in the company there were five Swedish investors. Of the five Swedish investors, one was actually Dutch, Peter Minuit. You may have heard of Peter Minuit’s purchase of Manhattan from Native Americans in 1626. Of the other investors; two were born in Estonia, one in Finland, and only one in Sweden; but all five were from Swedish families. The main Swedish investor was a Swedish-Finn, Clas Larsson Fleming. He came from a Swedish Noble family out of Turku, in what is now Finland. His family lineage has ties to Finland going back to the 1490’s and the family was one of the most prominent in Finland at the end of the Middle Ages. He was son of Lars Hermansson Fleming, who was born in Gothenburg, Sweden, and Anna Hendriksdotter Horn, of Turku, Finland. His father later became governor of Turku (Abo). For arguments sake, let’s just say he was a Finnish-born Swedish Noble. Fleming was a formidable Navy Admiral. 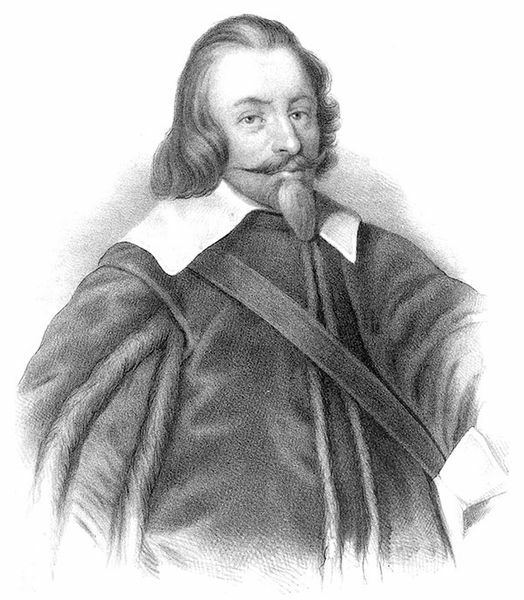 He is credited with reorganizing the Swedish Navy and it is said that this helped keep the Danes at bay during the Torstenson War from 1643 to 1645. Fleming’s personal investments were solid. By the 1630’s, Fleming had an iron works in Osteraker, Sweden. The iron works produced rapiers and swords under a monopoly for the Swedish army. The money earned paid for his 1/16 share investment in the New Sweden Company. In addition to being an investor, Fleming was also designated the Director of the New Sweden Company. Minuit would run operations in New Sweden. By the second voyage, Fleming was the primary investor. The main goal of the company was to develop a trade post in the Americas. The post would be a source of furs and tobacco. Sweden also looked to sell its copper through the post. Presumably Fleming’s iron works would trade in tools and weapons to the New World. In November 1637 the Kalmar Nyckel and the Fogel Grip left Gothenburg, commanded by Minuit on their way to the New World. They were delayed by a storm and had to stop for repairs in Holland. They left again after New Years, stopped in the Canary Islands, and reached Swede’s Landing, in Delaware on March 29, 1638. Minuit first order of business was to purchase land from the Native Americans. Once completed, construction began on Ft. Christina. Minuit became the first Governor of New Sweden. As he was experienced with trading through the Dutch West Indies Company, on his return trip he sailed on the Kalmar Nyckel to St. Christopher (now Saint Kitts) to barter wine for tobacco. Minuit died during a hurricane. Before Minuit had left New Sweden he had placed Måns (Mauno) Nilsson Kling, a Finn, as interim Governor, a role he held until 1640. Next Niebaum Part III – Kippis, Niebaum!